The Fund for Investigative Journalism (FIJ) is calling for applications for grants to support independent investigative reporting. Grants cover out-of-pocket expenses such as travel, document production and equipment rental. Small stipends may be considered as a part of the grant. The typical grant is $5,000. The deadline for applications is Monday, May 5, at 5pm Eastern time. Visit the FIJ website for detailed instructions and on-line application form: http://fij.org/grant-application/. FIJ welcomes calls and emails with questions about the application process. Email: fundfij@gmail.com. Phone: 202-662-7564. Washington (February 25, 2014) – The Fund for Investigative Journalism is pleased to announce it has been awarded a $50,000 grant from The Park Foundation, marking the fourth year the Foundation has supported the Fund’s grant-making program for independent journalists. During the past year, with Park Foundation backing, reporters have uncovered stories ranging from crop failures on Midwest farms brought about by climate change, to the lack of transparency and accountability required of lobbyists in Florida, to the nationwide shortage of nutrients needed for prematurely born children. The Park Foundation support helps underwrite the Fund’s program of grants for independent reporters who have the ideas, sources, and know-how to produce groundbreaking investigative journalism, but need help with travel and other expenses. The Fund for Investigative Journalism is also supported by The Ethics and Excellence in Journalism Foundation, The Reva and David Logan Foundation, The Morton K. and Jane Blaustein Foundation, The Nicholas B. Ottaway Foundation, The Green Park Foundation, The Gannett Foundation, The Nara Fund, and individual donors, many of them referred by the Catalogue for Philanthropy: Greater Washington. The Fund depends on support from foundations and individuals. Donations can be made online, www.fij.org, or by mail to the Fund for Investigative Journalism, 529 14th Street NW – 13th floor, Washington DC 20045. From Audrey Quinn, for Life of the Law, the story of mothers who give birth in prison. An excerpt: A Department of Corrections study found having a baby in a prison nursery makes a woman twice as likely to stay out of prison later. Byrne [Mary Byrne, a professor at Columbia University School of Nursing] decided to conduct her own research, following sixty of the babies from the Bedford prison nursery until the age of eight. She compared their development to kids in the general population. “The children overall did very well,” Byrne concludes… Byrne found that 70 percent of the babies she studied managed to form secure attachment with their moms – more than in the outside world. Despite these findings, prison nurseries are extremely rare. 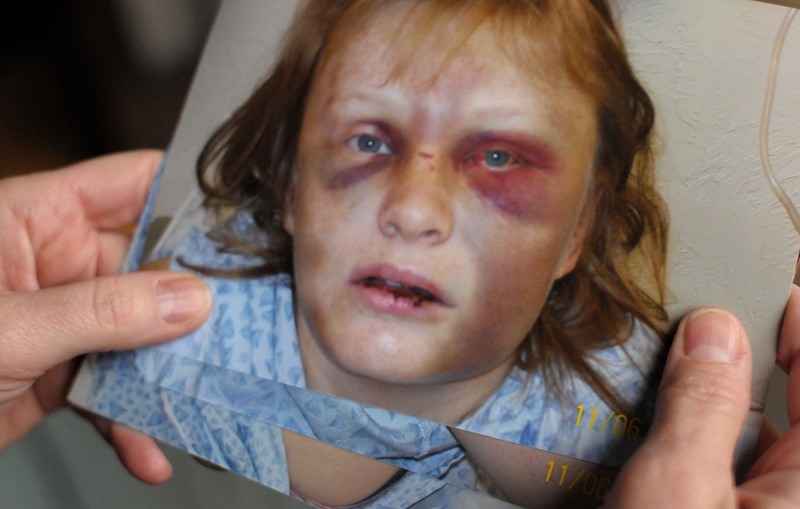 The documentary “Private Violence,” directed by Cynthia Hill, has debuted at the 2014 Sundance Film Festival. The film tells the story of two women, a domestic violence advocate who was victimized herself years ago, and a young mother who, with the advocate’s help, fought in court to keep her abusive ex-husband in prison. The documentary will air on HBO this fall. For more information and to track screenings and air dates, visit the Private Violence website and its Facebook page. Photo courtesy of: Rex Miller. From Rong Xiaoqing, for Sing Tao Daily, translated into English for Voices of NY, a deeply reported story of the mental health consequences for some American students at one highly competitive high school in New York City. 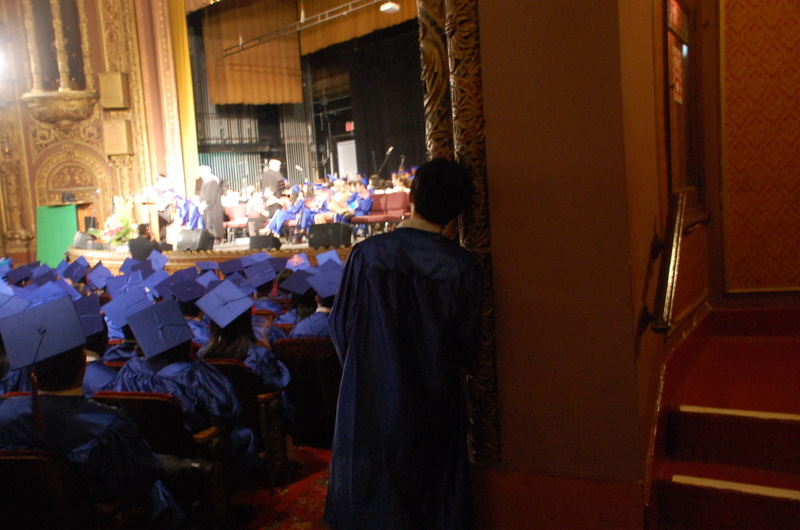 An excerpt: “For many academically competitive students, Stuyvesant is the ultimate goal. But once you get in, everyone is so competitive. You have to stay at the top in order to get into Ivy Leagues. But not all students can stay at the top. Some of them will show symptoms of depression, adjustment disorder, hopelessness and withdrawing,” said Peter Yee, Deputy Director of Hamilton Madison House. Yee said the youth mental health program of his organization every year serves a few students from Stuyvesant (which, like the organization, is also in Downtown Manhattan). He says he gets more Stuyvesant students than from any other school, though he won’t give specific numbers. 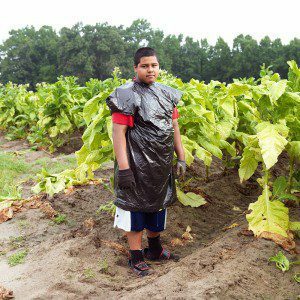 From Rocco Rorandelli for CNN World, the story of teens working in American tobacco fields. In many states, children as young as 12 can legally work on a farm as long as it’s after school and they have their parents’ permission. The Miami Herald has picked up BrowardBulldog.org’s investigation of lobbyists operating in the shadows of Florida government. The in-depth report found broad loopholes in otherwise tough requirements for lobbyist disclosure and registration in Florida. (An excerpt): .. Florida’s independent special districts are a separate class of government — a hodgepodge of obscure taxing and other authorities that, with few exceptions, offer the public no information about lobbyists or what they’re up to at their agencies. BrowardBulldog.org, supported by a grant from the Washington-based Fund for Investigative Journalism, spent months documenting that sweeping lack of government accountability, a free ride enjoyed by lobbyists at independent special districts around Florida with the power to tax, assess fees and/or sell low-interest bonds to finance government spending. The story is already generating reaction in the Florida Senate, as reported by BrowardBulldog.org. (Washington) The Fund for Investigative Journalism has awarded $76,000 in grants to support 18 investigative reporting projects in the United States and abroad. The Fund makes grants three to four times a year, averaging $5,000, to journalists who have ideas and sources, but need financial resources to conduct interviews and gather public records and data. The next deadline to submit grant proposals is Monday, February 10, at 5pm Eastern time. Check the website, fij.org, for application instructions. For more information, call Sandy Bergo, 202-662-7564, or send an email to fundfij@gmail.com. The Fund for Investigative Journalism’s grant-making program is supported by individual donors, and by the following foundations: The Ethics and Excellence in Journalism Foundation, The Reva and David Logan Foundation, The Park Foundation, The Morton K. and Jane Blaustein Foundation, The Nicholas B. Ottaway Foundation, The Gannett Foundation, The Green Park Foundation, The Nara Fund, and The Herb Block Foundation. Grants for overseas reporting were made possible by support from The Reva and David Logan Foundation and The Nicholas B. Ottaway Foundation. The John S. and James L. Knight Chair in Investigative and Enterprise Reporting at the Journalism Department in the College of Media at the University of Illinois has also supported the Fund. (Washington DC) – The Fund for Investigative Journalism announced today that two distinguished leaders in the journalism profession have been elected to its board of directors. Marcia Bullard, former President and Chief Executive Officer of USA WEEKEND, current chair of America’s Charities. Milton Coleman, retired Senior Editor of the Washington Post, past president of the American Society of News Editors and of the Inter-American Press Association. In 1982, Bullard was one of the founding editors of USA TODAY. She served as Editor, then for 14 years as President and CEO of USA WEEKEND, which is distributed in more than 700 newspapers. In 1992 while leading the magazine, Bullard founded the Make A Difference Day, which has grown to engage more than three million Americans in volunteer service on the fourth Saturday of October. She was honored with the President’s Volunteer Service Award in 2005. Bullard started her reporting career at age 17, and now serves on the advisory board of the Southern Illinois University School of Journalism, and on the boards of three nonprofits, including America’s Charities, a national organization that promotes and facilitates workplace giving. Bullard is currently a consultant based in Washington DC. Coleman was a reporter and editor for the Washington Post for more than three decades, hired in 1976 to cover local government and politics, promoted to City Editor in 1980, then joined the national staff as a reporter, and later served as Assistant Managing Editor for Metropolitan News and Deputy Managing Editor. Coleman has served as a juror for the Pulitzer Prizes in Journalism. In 2010, Coleman was elected president of the American Society of News Editors – the nation’s top membership organization for newspaper editors and other news media leaders. In 2011, he was elected president of the Inter-American Press Association, which defends press freedom and the rights of journalists in North and South America. The board of the Fund for Investigative Journalism also elected Ricardo Sandoval-Palos as its president. Sandoval-Palos is a DC-based writer and consultant, working most recently with Human Rights Watch and the Center for Public Integrity. From 1997 to 2006, Sandoval-Palos was a Latin American correspondent for the Dallas Morning News and the San Jose Mercury News. His investigative reporting has been recognized by the Overseas Press Club, the Inter-American Press Association, the Loeb Awards for business journalism, and the Society of Professional Journalists. Sandoval-Palos replaces outgoing president Brant Houston, who had served as president for four years. Houston, the Knight Chair in Investigative and Enterprise Reporting at the University of Illinois, will continue to serve the Fund for Investigative Journalism as a member of the Advisory Board. The Fund receives support from foundations and from individuals. Its foundation supporters are The Ethics and Excellence in Journalism Foundation, The Park Foundation, The Reva & David Logan Foundation, The Nicholas B. Ottaway Foundation, The Morton K. and Jane Blaustein Foundation, The Gannett Foundation, The Herb Block Foundation, The Green Park Foundation, and The Nara Fund. Pro bono legal services are provided by Dykema Gossett PLLC. Pro bono business advisory services are provided by Leigh Riddick, Associate Professor of Finance at The American University’s Kogod School of Business.